TSI Offers repair management service with the most cost effective, high quality and trusted organizations. We’ll ship a replacement immediately in exchange of the part that needs servicing. Two options: Exchange plus cost (exchange fee and then the actual repair costs)or flat rate exchange fee. TSI is an established supplier of aircraft spare parts from a wide variety of manufactures. The main activity of TSI is a comprehensive supply of aircraft spare parts to Latin America and the USA for sale or exchange. TSI offers services for shipping and customs clearance of aircraft spare parts and equipment from US suppliers. 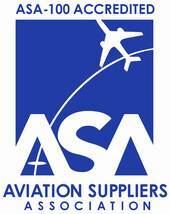 We offer components and other major aviation equipment on a lease or purchase/leaseback basis.